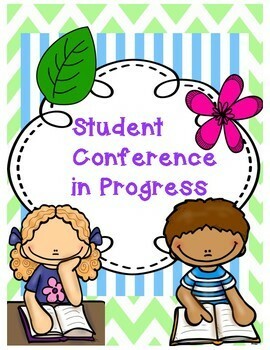 This is a student led conference set that includes a student-parent goal sheet. 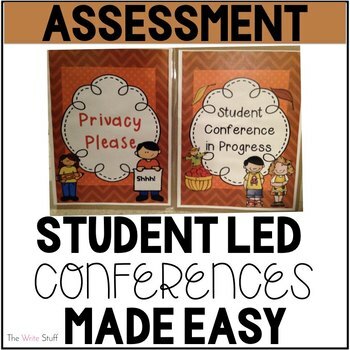 Print and laminate and you can use it year after year. The beauty of this set is that it doubles as a privacy folder so you can run four private family sessions at a time! 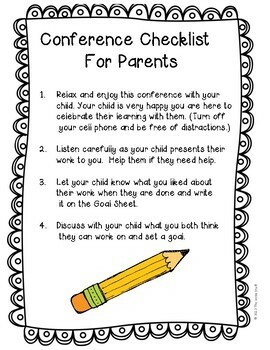 There is also a goal sheet for parents and students to work on together to identify strengths in what they see as the conference goes on and an area in which they can work on together at home. There is a check box for parents to check if they'd like more suggestions at home. Please go to your My Purchases page (you may need to login). Beside each purchase you'll see a Provide Feedback button. Simply click it and you will be taken to a page where you can give a quick rating and leave a short comment for the product. Each time you give feedback, TPT gives you feedback credits that you use to lower the cost of your future purchases. I value your feedback greatly as it helps me determine which products are most valuable for your classroom and helps me to plan new creations based on your likes and needs. You will now receive email updates about this store!